When sifu Jie Kon Sieuw (余官秀師父) suddenly felt sick in the autumn of 2001 his senior students took over the lessons in his schools in Holland and Belgium. No one could expect that his sudden hospitalisation would turn out to be for the worst. Some seniors would visit sifu Jie Kon Sieuw almost on a daily basis and many (former) students came from all across the country to visit in the hospital. When sifu Jie Kon Sieuw passed away in December 2001 the seniors in Holland first had only the intention to continue their own training in Pak Mei Pai. But from other students they received the request to keep the school in Amsterdam (阿姆斯特丹) open for everyone. When the Pak Mei family in Yuen Long heard of the sadly passing of sifu Jie Kon Sieuw, they made contact with Henk Tjong who they had met during the school's visit to Yuen Long in 2001. They invited the students of Jie Kon Sieuw to visit the Head School in Yuen Long (香港白眉世強館聯福堂). A delegation left for Hong Kong. The family was united and on advise of the Pak Mei family in Tai Kei Leng Yuen Long Hong Kong (大旗嶺元朗香港) the new name became "Jie Kon Sieuw Tong Hok Wui" (余官秀同學會) or Jie Kon Sieuw Student Association. The main object of the Jie Kon Sieuw Student Association is teaching Pak Mei from the heritage of sifu Jie Kon Sieuw and in this way promoting and preserving his Pak Mei and Pak Mei Pai in general. After their first visit in 2003 to Yuen Long in Hong Kong they returned again in 2005 and 2008 to visit the Pak Mei family there. During their visits they were helped to complete their skills in Pak Mei with new forms, deeper insights in the forms and theory of Pak Mei. 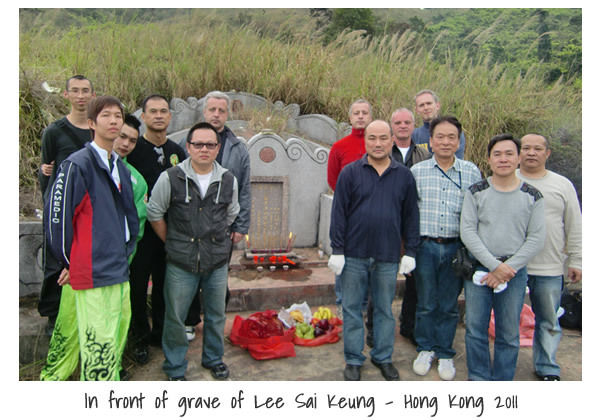 In March 2011 a delegation of the Student association ( Jos van Tilburg, Peter van Aartsen, Henk Tjong, Roelof La Lau and Oluf La Lau) visited Hong Kong again. During their stay they visited the headquartes of the Lee Family Pak Mei in Yuen Long to pay their respect to the family members in Yuen Long. Also visits were arranged to the graves of Sigung Lee Sai Keung and Pak Mei founder Cheung Lai Chuen and to pay their respects at the graves. In March 2014 four of us went to Hong Kong to visit our family in Yuen Long for more in-depth knowledge and skills of Pak Mei Kung Fu. Nowadays we are training freely and exchange practical and theoretical knowledge about this great art. 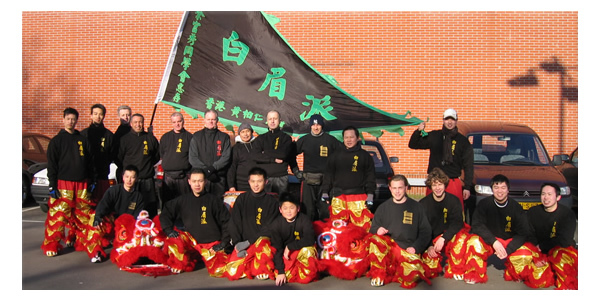 New students are welcome and we will support them to get acquainted with Pak Mei Kung Fu.